I am a free man of color who is about to school you on how not to call a free man of color out of his name. I am a culinary historian. You are not. I am the descendant of enslaved Africans, you are not. I am a historic chef. You are not. I had to fight for everything I’ve become and every name I have earned. None of it was handed to me and none can be taken away. I played by your culture’s rules of bootstraps and meritocracy and I deserve more than simple reductions by entitled food media who think they can dismiss me and my truth without providing links or a nuanced and informed introduction. You never carry the same baggage and therefore you will always lack a certain degree of caché because you called me a “Northern food writer” and shot tropes at me on social media about being aggressive, being an outsider and told your readership that I didn’t deserve to be “a lead voice.” Imagine if I told you, a white woman and fellow Jew, what you “deserved.” Or if I qualified and passed judgment on the value of your “voice.” You can disagree with someone and still respect them and clearly you do not. While you’re at it…just keep my name out of your paper until you can address me and my point of view with respect and acknowledge that these hands that were never meant to do more than pick cotton, tobacco or rice are the same hands that make me your COLLEAGUE. Why don’t you tell your readers how I WON TWO SAVEUR BLOG AWARDS FOR MY LETTER TO SEAN. I am a TED Fellow. 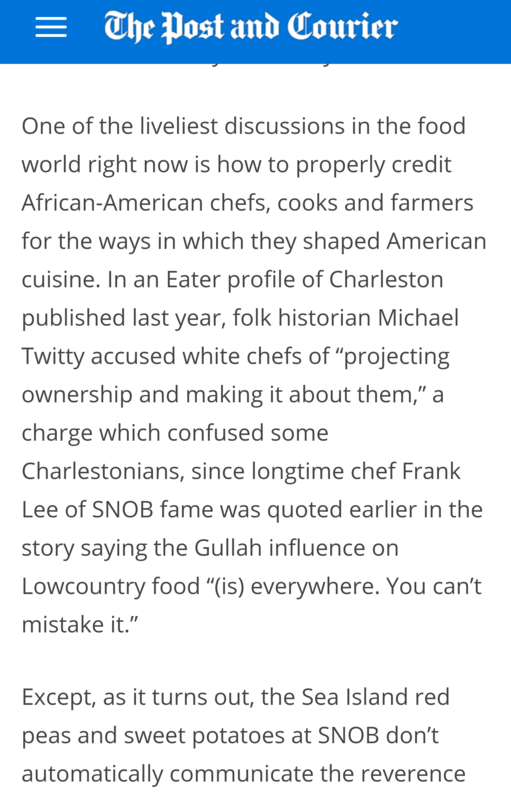 I am one of the first Smith Fellows with the Southern Foodways Alliance. I am the first Taste Talks Culinary Pioneer Award winner. I am one of First We Feast’s greatest food bloggers of all time. I have spoken from Oxford, England to Oxford, Mississippi and just so you know I can trace my ancestry back to the Mende, Temne, Fula, Kongo, and Akan that arrived here on slave ships to Charleston. Tell them how complex this is instead of attempting to reduce me to a fraud with some flippant line. 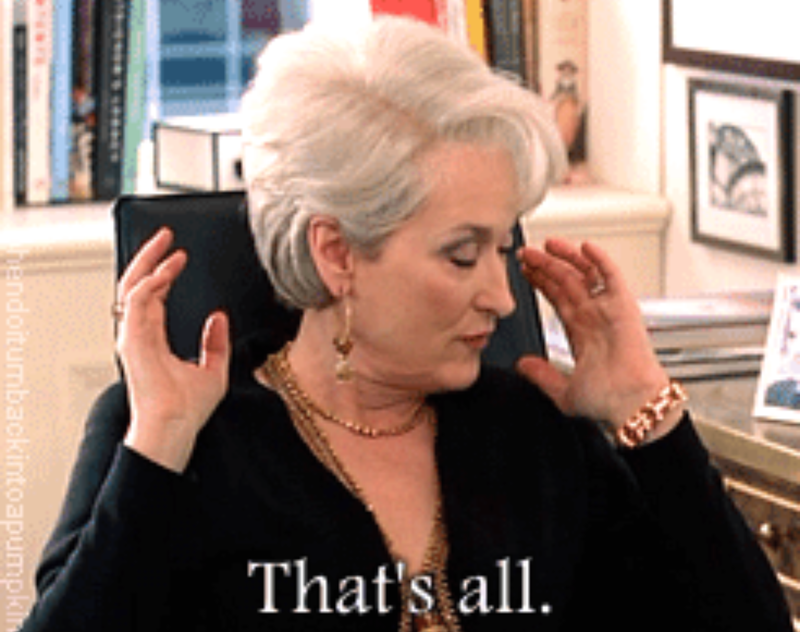 If all you can do is write about Kevin, BJ and Mashama over and over again (and they should have MUCH MORE FOR THEIR HARD WORK) and whitesplain criticism….where am I wrong? So bye&when HarperCollins publishes my book I suggest you and company read it. Preach brother! I can’t wait to buy your book. Your graciousness abounds. A gentleman, and a scholar. Love it. The Texas historian C. L. Sonnichsen came up with the term “grassroots historian” for the people who, regardless of any academic credentials, were doing important and significant work in their chosen fields of history and doing it down at the grass roots where the real facts were to be found. Often, he said, grassroots historians were the ones making the primary discoveries that academics used to build on. Is that a term you’d be comfortable using about yourself and your work?